Georgian-Italian archaeological expedition of Ca’ Foscari University of Venice in collaboration with the Georgian Museum of Tbilisi has discovered vine pollen in a zoomorphic vessel used in ritual ceremonies by the Kura-Araxes population. In the archeological site of Aradetis Orgora, 100 kilometers to the west of the Georgian capital Tbilisi, Ca’ Foscari’s expedition led by Elena Rova (Ca’ Foscari University of Venice) and Iulon Gagoshidze (Georgian National Museum Tbilisi) has discovered traces of wine inside an animal-shaped ceramic vessel (circa 3,000 BC), probably used for cultic activities. The vessel has an animal-shaped body with three small feet and a pouring hole on the back. The head is missing. It was found, together with a second similar vessel and a Kura-Araxes jar, on the burnt floor of a large rectangular area with rounded corners, arguably a sort of shrine used for cultic activities. Results of radiometric (C14) analyses confirm that the finds date to circa 3000-2900 BC. Both zoomorphic vessels are an unicum in the region. The vessel, examined by palynologist Eliso Kvavadze, contains numerous well-preserved grains of pollen of Vitis vinifera (common grape vine), which shows wine’s strategic role in the Kura-Araxes culture for ritual libations. 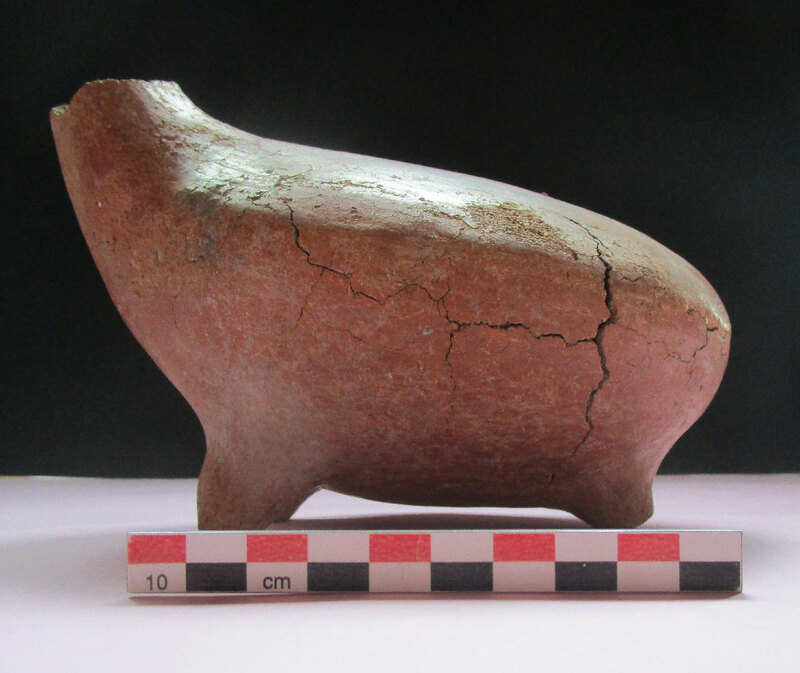 According to professor Rova, this is a significant discovery, «because the context of discovery suggests that wine was drawn from the jar and offered to the gods or commonly consumed by the participants to the ceremony». It’s a key-finding for Georgia, where grapewine has been cultivated since the Neolithic period. Now the Georgian wine culture has been dated back to the Kura-Araxes period, more than 5,000 years ago and is still continuing: in the course of traditional Georgian banquets, the supra, wine is consumed from vessels derived from animal horns in the context of elaborated ritual toasts. Started in 2013, in only three years Ca’ Foscari archeological excavations have achieved this impressive result, thanks also to the support of the Italian Ministry of Foreign Affairs. 27 researchers and students from both countries and some local collaborators took part in 2015 campaign season, when the Kura-Araxes vessels were unearthed.